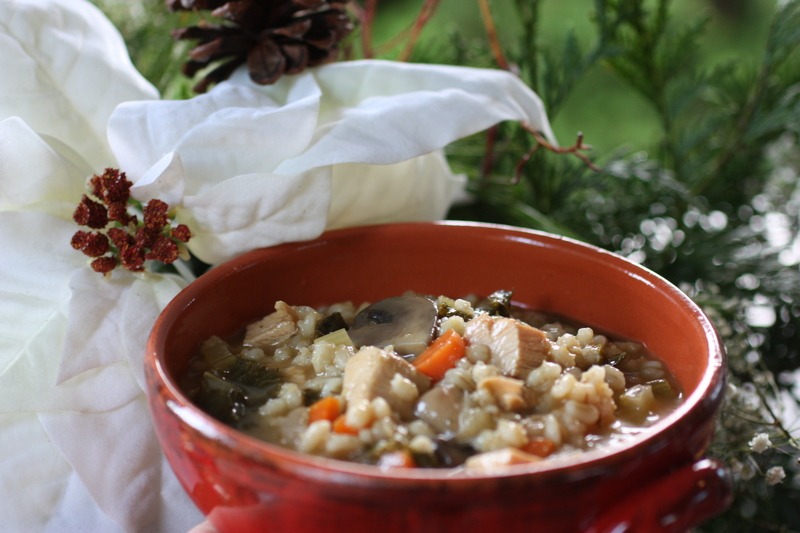 This is a great comforting and hearty leftover holiday soup. It is also perfect for those cold rainy winter nights and has immune boosting properties that we are looking for as we head into the flu season. From turkey which is rich in zinc, critical for a healthily immune system – to the superstar mushroom which contains polysaccharides believed to have immune-boosting ability. 1Sauté all of the vegetables in the butter or the oil and then add salt and pepper. 2Add the stock, thyme sprigs and the bay leaves. 3Once the mixture has come to a boil add the barley, turn the heat to a simmer and cook for 1 hour. 4Add the turkey or the chicken at the end of cooking to prevent it from drying out too much. Serve immediately.